Last week’s graphic on the impact of local permitting on the cost of solar power was a big hit, so here’s a follow-up on “soft costs,” the expenses in a solar installation (including permitting) that are not the solar module. The chart compares the soft costs in the U.S. to Germany (thanks to LBNL’s analysis), where these cost are much lower. 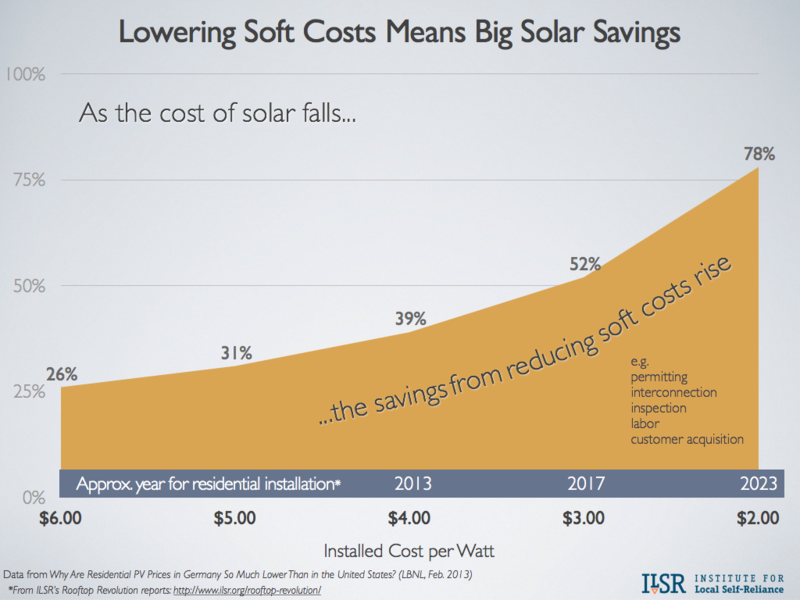 The soft costs reductions attributable to the much larger solar market in Germany have already been accounted for and the chart shows those that are the result of other factors.